A newspaper article was clipped and saved for me entitled, “Look into my eyes…why using hypnosis can help health problems”. The article was published in the Western Daily Express on Monday the 8th of August in the Health and Families section. Generally, the article framed hypnosis and hypnotherapy in a positive light by assembling much of what is already generally known about hypnotherapy combined with recent developments within the NHS. 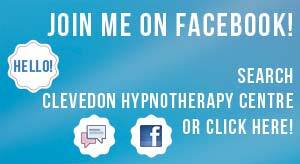 The article stated that while hypnotherapy isn’t yet available on the NHS, hypnotherapy is helpful in treating anxiety based conditions. The article also goes into further depth by quoting Dr. Peter Naish, President-Elect of the Hypnosis and Psychosomatic Medicine Section, that hypnotherapy can achieve a better rate of healing for certain conditions. The article also quotes Dr. Raj Sharma of the Royal London Hospital for Integrated Medicine, that hypnotherapy might be one of several approaches to helping people suffering with Irritable Bowel Syndrome (IBS). The National Institute for Health and Excellence (NICE) also recommends hypnotherapy for IBS if symptoms persist after 12 months the article adds. The article adds balance by asserting that hypnotherapy may not be effective for everyone and adds a note of caution that the profession is self regulating and qualifications may not designate a practitioner as “professional”. Seeking a referral from a GP might be a good way forward. On the whole the article was reasonable well balanced. Unfortunately, the title beginning “Look into my eyes..” perpetuates misconceptions that hypnotherapy is some form of mind control and in doing so presents hypnotherapists as merely hypnotists. In my practice, I have to dispel that misconception almost every day. The next egregious mistake was the accompanying photo of a young woman staring at a swinging watch held my a man in front of her. This image perpetuates many of the worst misconceptions about hypnotherapy. A worse way to present hypnotherapy could not have been chosen. The myth conveyed is one of “trance” and mind control. In fact, “patients are encouraged into a state of trance”, was in the article. Much of the information in the article was helpful, but the title and the photo caption were misleading. I would have to conclude the article was one step forward and two steps back.